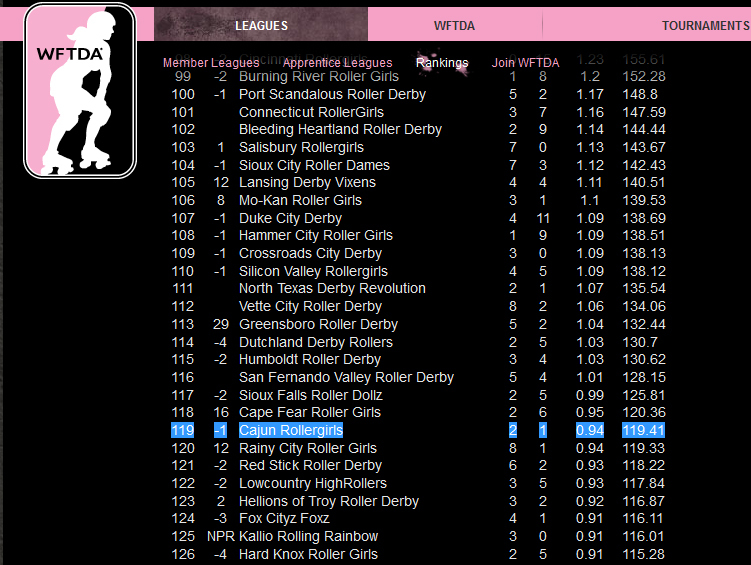 New WFTDA Rankings – CRG at No. 119 in the World! Check it out, CRG Nation! WFTDA’s newest rankings are out. While we may have fallen one spot (with Champs and some leagues just finishing their seasons, rankings have shuffled a bit), we’re still very proud to be ranked No. 119 in the world! CRG Birthday Trifecta Today! Happy Birthday, OrgAnnica!